This was one of the first butterfly pictures I shot with my new camera. I played around with the color temperature a bit and this was the result. I am chomping at the bit to try out my new 70-300mm zoom lens and new HD camcorder in the summer of 2010! I look forward to the challenge of adding superior quality photos/video to this site in the new year. 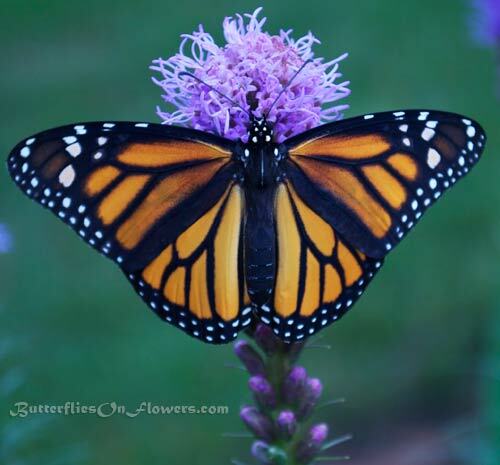 Butterfly facts: Monarch butterflies are in the family Danaidae. Butterflies in this class are collectively known as milkweed butterflies.